Google Penguin 2.0 update was all about links. Websites that were having a spammy link profiles including low quality links and similar anchor text links were penalized by this update. Here is a great infographic explaining the basics on how to get your site ready for Penguin 2.0. 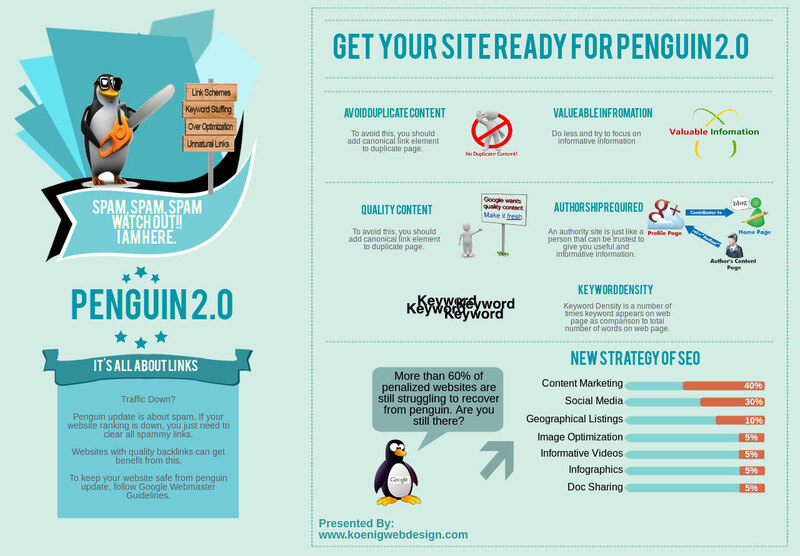 Google Penguin 2.0 Update - How can we get safe from this? infographic by chris.louis.